Welcome! I know a lot of my client base are families. Families are fun! I have three kids and love helping families find great homes in great neighborhoods with great schools. 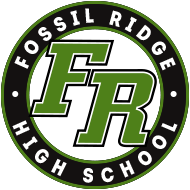 This post is about Fossil Ridge High School homes for sale. I have a knack for figuring out which neighborhood would be a good fit for your family. I have found in my 14 years of real estate experience families love homes with 4 bedrooms and they like their kids to go to good schools. Who wouldn’t? Obviously budget is a huge consideration when making any home purchase, but as a Southeast Fort Collins real estate specialist I can tell you homes literally next door to each other can hugely vary in price and I can tell you why. Sign up today to receive all the 4 bedroom homes for sale in Southeast Fort Collins 80528.